After 21 days (and 21 beds) of travel, I’m home from my third trip to the Camino de Santiago, this time along the Camino del Norte. Over 17 days, Eric and I walked from Hendaye (on the French border) to Llanes, in Asturias. Our total Camino trail distance was just over 400 kilometers (250 miles). Of that, we walked about 350 and bussed/trained the rest (more on that another time). My feet mostly held up. I still have an unusually high amount of foot pain after walking, which makes it hard to reach the same distances as many (we averaged about 21 kilometers a day, and never crossed the 30 mark), but I can still plod along. In fact, this week marked my 100th day of walking Camino trails. The geography and scenery of the Camino del Norte are the most dramatic I’ve encountered on a Camino trail. The combination of coastal walking and lush, green inland hills make every day spectacular. The Norte mostly hugs the ocean along the northern coast, so that you don’t go more than a day or two without at least seeing the ocean, and often walking on beaches. It’s consistently beautiful…and also brutal. I walked along unfenced cliffs and through (not around) fields of livestock that demanded my attention. I have great Camino weather luck. For months, I’ve been hearing about the miserable wet and stormy spring that’s affecting Europe. Parts of the Camino Francés and Le Puy route were still getting snow in May. I’ve been following women who blogged about walking Camino del Norte in pounding rain and heavy wind every day for weeks on end, finishing just days before I set out. Me? I came home sunburned. We had two days of light but steady rain in the beginning and two afternoons of heavy showers at the end, but the rest was mostly cool, overcast, dry weather (perfect for hiking) in the morning, and sunny afternoons. The wind was never heavier than a breeze. Really, it was lovely. Some of this “pilgrim pod,” here on the dock of Santander, had been together since the second day of walking. 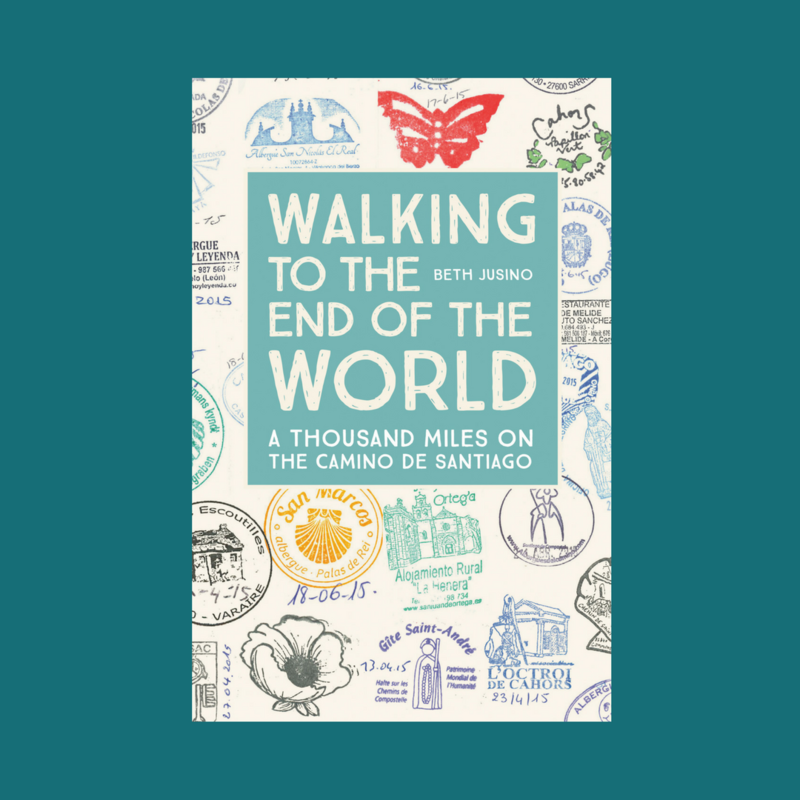 Most people who walk the Camino del Norte have walked some other Camino trail before. 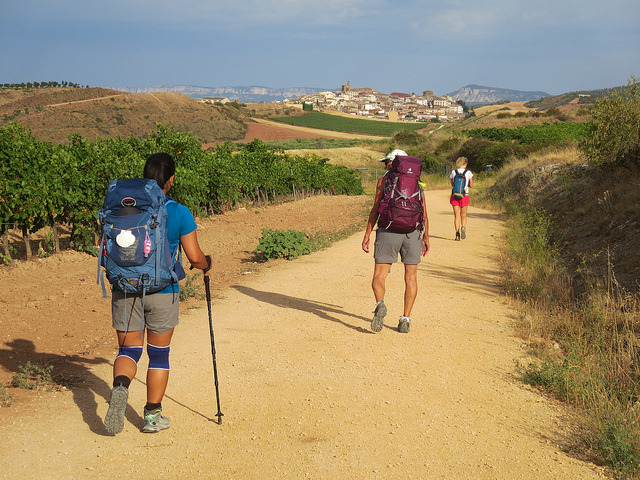 Of the many people we met from around the world, few were Camino first-timers. Most had walked Camino Francés at some point. Several had come to the Camino del Norte directly from walking in France from Le Puy, Arles, or Bordeaux. It made for a strong base community of experienced, passionate pilgrims. The number of pilgrims in May was, for me, just about perfect. There’s a lot to love about the Camino Francés, but the sheer numbers of pilgrims on the road every day was always a challenge for me. With hundreds of people streaming through small towns and villages, it was easy to feel anonymous, and also like the pilgrims were overpowering the Spanish culture. I met a lot of fantastic people along the popular Francés route, but sometimes I felt like I wasn’t seeing Spain. The Norte, on the other hand, felt like I remember the Via Podiensis, as the Le Puy Camino is officially known. We saw (and developed nicknames for) the people who we saw every day: the three “French boys” (all retired or nearing retirement), the “Catalan caballeros,” the laughing German women, etc. We ran into them in albergues and throughout the day on the trail, but I never felt like I was just part of a line of people. Municipal albergues were small, often with only 20 beds, but I didn’t typically feel a “bed race” rush during the day; people started late and walked until 3 or 4, and still almost always found a spot. Size, of course, is subjective. Some people love the Francés specifically because there are so many people. But for me, it was good to be back at communal dinner tables and small dorms. There’s less of a historical and/or spiritual emphasis on Camino del Norte. This is something that my fellow pilgrims brought up long before I noticed it, but they were right. The attention of Norte is mostly directed to the sea. The Camino path doesn’t go out of its way to pass in front of every church, and most of the ones we did see were locked. There is little Camino lore (like the legends and stories that pepper the Camino Francés), or chapels open for reflection and prayer. The coastal towns we visited had suffered centuries of wars and attacks that destroyed their older parts and left only modern city centers. There were exceptions, which I’ll write about another time, but overall, for me this felt more like a beautiful hike and less like a thousand-year-old tradition. How do all of those pieces fit together? I’m not sure yet. My plan is to provide a day-by-day account, as well as some thematic pieces, here, and I’m always interested to know what your experiences have been. Stay tuned: it will take me a while (at least two consecutive nights of sleep in the same bed) to piece it all together. Well Done Beth ! Will the Lisbon route be next ? Welcome home to estados unidos ! Best to you and Eric ..
Well, we’re only halfway through the Norte, so I suspect the next step will be to pick up again in Llanes and follow it to the end. But I’ve heard the path through Portugal is lovely, too! Thanks Beth, I love to read your reflections. Candace, Sent from my iPhone. Welcome home! Looking forward to reading—and hearing—all about it! I chose the Norte for my first Camino and went to Oviedo from Irun and then did the Primitivo to Santiago. I walked in April and May of last year and met many wonderful pilgrims. A perfect number to be on the trail. The scenery was spectacular. Will walk the Frances next spring but nervous about the number of people. I walked del norte last October. I was the most difficult (I walked from Irun to Santiago de Compostella) and most wonderful experience of my life. It changed my life forever on every possible level.